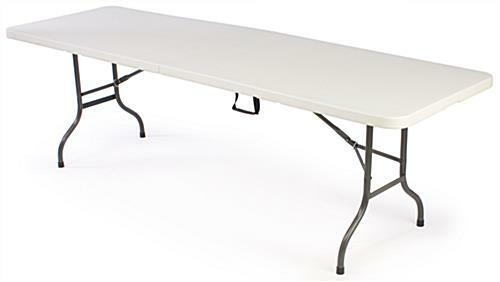 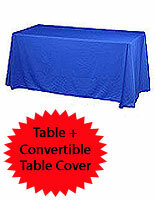 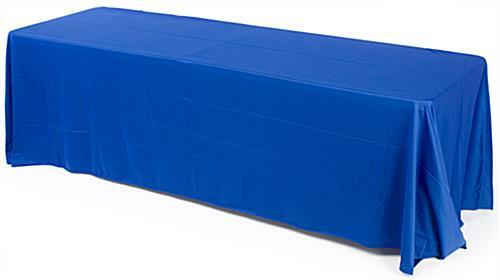 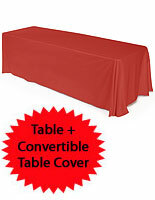 This portable table with blue tablecloth measures 8' wide and features a strong plastic tabletop. 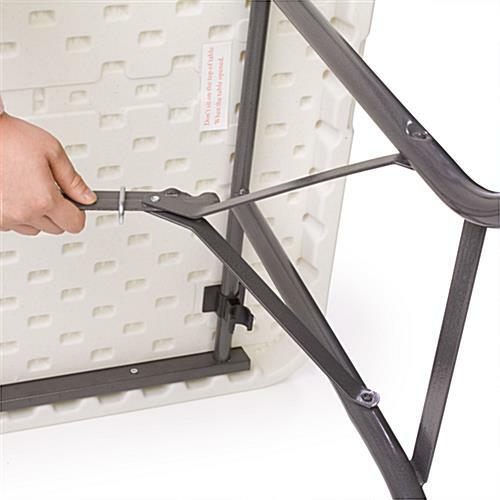 The stand makes great event furniture with its folding design and included carrying handle. 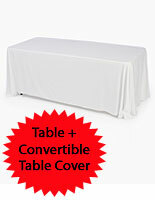 Each portable table comes with polyester cover that can be cleaned in a washign machine for extra convenience. 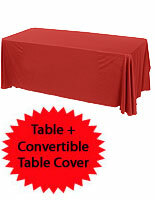 The included linen is also fire retardant to ensure safety in any scenario. 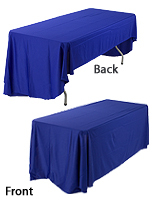 The folding table and cover set are easy to set up and require no extra tools. 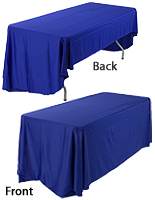 The event furniture's polyester linen is adjustable and can fit 6' wide booths with the use of hook and loop attachments.